Brand new phones are a wondrous thing, but over time your shiny new device slows down and becomes sluggish. Switching between apps becomes a frustrating experience and your battery won't get you through a day. If this sounds familiar, there are a few things you can do to take back control of your smartphone and improve the situation, and one of the easiest things to do is get control of your apps running in the background. The best way to gain control of your processes is to have a dig around under the hood using the monitoring tools built into Android. Exactly how this process screen looks, how you access it and what it's called will vary depending on which company made the device and what version of Android you're using. In some cases, before you can start, you need to enable developer options. In most versions of Android, this involves going to Settings > About phone and then tapping Build number about seven or so times. You'll get a notification telling you that Developer options have been unlocked once you're done. For many handsets, the next thing you need to look for is a setting called Processes, Process Stats, or Running services. You can find this in Settings > Developer Options > Processes or Settings > Developer options > Running services. That option takes you to a list of running processes showing how much RAM each is using. Obviously, it'll be tempting to stop the most RAM-hungry apps from running in the background, but you'll want to pay some attention to what you're stopping before you go ahead. Stopping some apps might crash your phone. You can also tap the settings option when in the Services/Processes menu to switch between running processes and cached processes. Some phones, like a Meizu M3 Max we tested with, won't allow you to access the developer options by tapping the build number and have their own specific method. The best thing to do in that case is Google the model of your phone and the words 'unlock developer options'. In the case of Meizu, that involved entering ##6961## on the Dialer and then looking in Settings > Accessibility > Developer options > Process statistics. OK. If you don't want your app/phone to crash, err on the side of caution and use some common sense. The app marked 'Google Services', or pretty much any app that starts with 'Google' shouldn't be manually stopped. On the other hand, if you look through the list and see messengers and music players idly draining your battery in the background, then you can go ahead and stop them in relative safety. Truly crucial apps usually won't allow you to force stop them anyway. To stop an app manually via the processes list, head to Settings > Developer Options > Processes (or Running Services) and click the Stop button. Voila! To Force Stop or Uninstall an app manually via the Applications list, head to Settings > Applications > Application manager and select the app you want to modify. Don't delete any apps that appear when you select the Show System Apps option. So, in the above example, we had no use for Kik, Facebook Pages Manager or a few other running services, so stopped them without error. In some cases, you may find the service starts back up again automatically. If you tap the More/Settings (depending on your phone model) option, you can also review the RAM used by cached processes. The same rules of which apps are safe to stop apply to cached, as well as running, processes. With apps that just won't quit, like Kik for us (if you kill it via the processes tab, it simply restarts), you can navigate to Settings > Applications > Application manager to perform a Force Stop, or you can just uninstall it directly. If you looked around while you were carrying out the steps above, you probably saw some detailed battery info listed for each app. While that's great, working out what's draining your battery by assessing each app individually will take you all day. Instead, you should navigate to Settings > Battery and see what options you have available on your phone. Again, the options might have slightly different names and features available, but at a minimum, you should be able to see a listed overview of the apps that have used the most battery since you last juiced-up. You can then decide which ones you want to stop individually. The same rules apply to stopping or uninstalling apps that applied to stopping them via the processes tab - namely that you want to be careful about what you start pressing. Some phones split apps in the battery usage tab by system or non-system, and others split them into a list of 'hardware' and 'software' apps. In theory, as each new version of Android adds smarter battery features, the amount you need to play around with manually should go down. In Android Marshmallow, the most significant improvement was Doze, which essentially puts your phone into hibernation mode when it's not moving. For Android Nougat and Doze 2.0, that feature now works when your phone is moving too, as long as it's not in use. Android Oreo imposes Background Execution Limits to ensure that apps won't go crazy with background services or keep listener services open at all times. Samsung (and others) offer proprietary battery and RAM boosting options in many cases, so the features available to you will vary. Other people suggest that Doze mode actually harmed their battery life, but it's definitely at least worth testing to see if it increases your mileage. With Android (as an OS) and OEM hardware improving over time, some people will argue that the use of task killer apps is going to do more harm than good in terms of processing and battery life. As one of the problems you're trying to fix is apps running in the background draining your resources, adding another one that has the purpose of doing explicitly that (it needs to monitor the services in use on your phone, therefore always needs to be running) seems a bit counter-intuitive. A task killer that repeatedly force-closes an app in the background over and over is almost certainly going to drain your battery more as it continues the 'restart and kill' process. You might be better off not installing the task killer in the first place and just letting it run. On newer phones, tasks killers do more harm than good. Nonetheless, some people swear by them and you get even more granular control over your OS if you're using a rooted device. Many 'prosumer' task killers require root access to work. If this is a path you want to take, then you should consider checking out Greenify as an automated hibernation app that works for rooted and non-rooted devices. Non-rooted devices won't get automated hibernation of apps and a few other features, but you can still add a widget to your homescreen, which allows you to hibernate them in a single flick. It also has some neat options that extend Doze for Marshmallow devices that don't require root access. 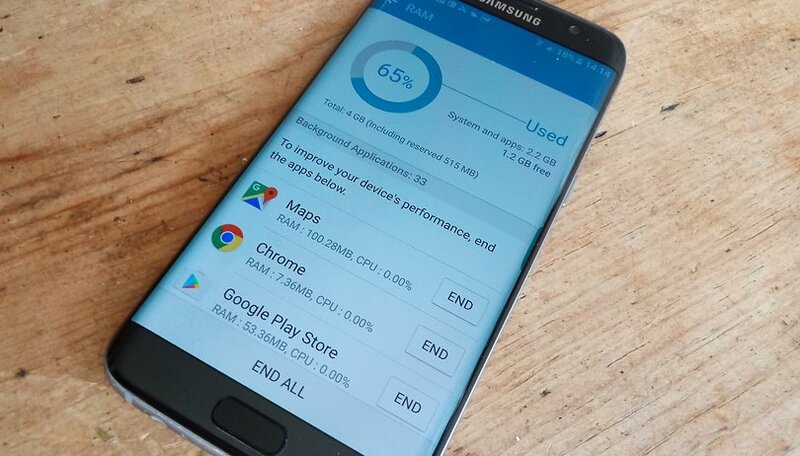 Do you think task killers, cleaners and RAM optimizers help or harm your battery life? Let us know in the comments below! The problem remains, apps which start themselves on their own at random times. I will run an app killer, then half an hour later, come back to the phone which has remained untouched, and find 20+ apps running. Why? How do we turn this 'feature' off? Certainly there must be somewhere in the OS of the phone where the app has installed some type of 'auto restart' line of code? and why does Android allow this without the owner of the phone being able to turn it off? This is nothing new; Windows has been susceptible to this kind of rogue program nonsense now for 25+ years. All to help the software companies, instead of the person who is buying the device and the OS. Why google designed a device and an OS which skirts the wishes of the owner of the device and the OS, well perhaps they don't really give a crap about their customers. Actually it is quite easy in Windows to go in and disabled any programs that are starting up with the operating system. Its just a simple matter of going in and disabling them. I do it all the time and I have been since Windows 95. With that said you are absolutely correct there should be a way using the Android operating system to do that too. Thank you for this article, I'm sure you've helped a lot of people. Thanks helps me a lot. When I typed ## 6961 ## I received the message "Connection issue or invalid MMI," then I realized that I did not actually have Meizu phone, but Vodafone! I bought a refurbed Samsung Galaxy 6s, which seems to have a lower than usual battery-life, and noted hope things just seem to load and stay in memory but I did find their Settings/Device Maintenance feature great. Now I can lower it to a MAX battery life extender when I'm in the office and resume to MEDIUM power saver-mode when I leave. It also can analyze memory-usage hogs (cleans memory and tells you by how much). The Storage cleaner also lets you know how much temporary space (fb, instagram, twitter, etc) is being used that can be freed up. Overall, the embedded maintenance program is the only thing I need except I need to do it daily after a full charge to keep it "clean." I like it so much better than on my iPad, which I haven't found how to clean the temporary storage without deleting the app entirely and restoring - especially for social networking apps and mail. Pretty sloppy on the iPad side - I often turn the entire thing off to clear up the temp files. Aside from shorter-than-expected battery life, I'm extremely happy with the 6s (or is S6?) and it has a decent camera. The only problem is with bluetooth - not sure why sometimes it "stutters" when it is in my pocket and at other times, not an issue. Wish I could find what/when the interference happens and why. I seem to have a lot of backgound processes or apps (i am not sure of the difference.) I have gone to the developer screen by the process list is not showing. I have a samsung N7000 running android. Where do I find the process list? Most battery eaters are apps which contains ads. To avoid ads if possible install paid version. Disabling of system apps save no any charges. Other apps / non system can be controlled by force stopping them. Go to settings>storage>apps/application manager> select app>> Force stop. This apps remains stopped until you touch on it. Switching on location consume battery. Switching on mobile data/ WiFi connection with or without browsing internet consume battery. Especially when an app ask administrator controls it is more problematic. It cause a total failure to Android system. Read the article but not any wiser. Not clear on what apps I should stop & what's the point if they are going to start again any minute. I would like to know how to stop apps from starting all together unless I tell them to. I keep finding apps like YouTube, WhatsApp, BBC radio player and others running in the background without me having used them. Samsung has its own "Smart Manager" app, where you can manage battery, storage, RAM and device security. Very usefull. Thank you Ben. I really needed this guide. Processes are generally overrated as the cause of either battery drain or responsiveness except in older, less powerful devices. Job one for battery is to set screen shutoff to 15 or 30 secs and use Keep Screen or similar to identify "always on" apps. I have Greenify as well. Have to say that going from an Android M to an Android N tablet reduced "Tablet Idle" resource usage from ridiculous to under 5%. on android 5.0.1----I checked under dev options>apps...don't keep activities and set background process limit to none. hope this keeps the apps from autoloading. Thanks for the taptaptap tip. It worked! My running processes are now minimal -in spite of having set it to zero. Still, it's a great improvement. Try out SD MAID application. Why is it titled how to stop apps from running in the background with a list of the major apps you cannot stop running ?